Published on 7. October 2015. 1 Comment Tags: baking, birthday, cake, dragon, fun, kids. 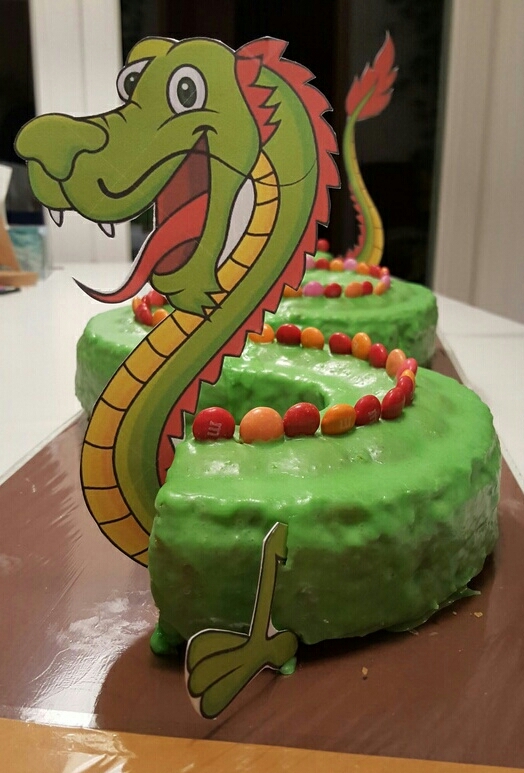 For my son’s 6th birthday, my wife got the idea to create a dragon cake for kindergarten. Because this has received so much positive feedback, as well as questions about how we did it, I decided to publish our secret here.